Halal is the primary Hebrew root word for praise. The commonly used word “hallelujah” comes from this root word. 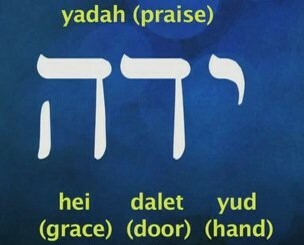 Psalm 113:1-3 Praise (hallal) ye the Lord, praise (hallal) o ye servants of the Lord, praise (hallal) the name of the Lord. 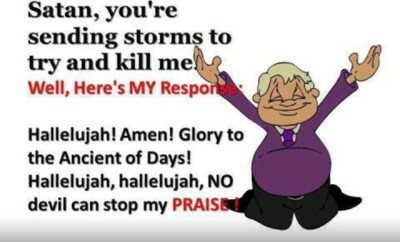 Psalm 150:1 Praise (hallal) the Lord! Praise (hallal) God in His sanctuary; Praise (hallal) Him in His mighty expanse. 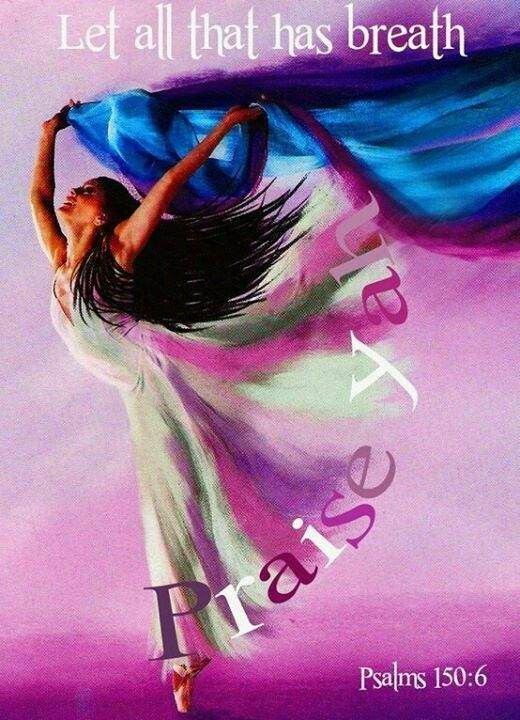 Psalm 149:3 Let them praise (hallal) His name in the dance: let them sing praises with the timbrel and harp. To worship with the extended hand. The giving of oneself in worship and adoration. To lift your hands unto the Lord. 2 Chronicles 20:21 Give thanks (yadah) to the Lord, for His lovingkindness is everlasting. 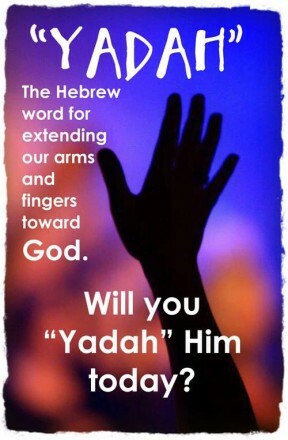 Psalm 63:1 So I will bless thee as long as I live; I will (yadah) lift up my hands in Thy name. Psalm 107:15 Oh that men would praise (yadah) the Lord for His goodness, and for His wonderful works to the children of men. By way of application, it is apparent in the Psalms and elsewhere that it is used for thanking God for “things not yet received” as well as things already at hand ‘yadah’. This word is commonly found in connection with sacrifice-applying the giving of thanks or praise as a sacrifice before manifestation. Thanking God for something that I don’t have in the natural. Agreeing with His Word – faith in His Word. This form of praise goes in operation just because His Word is true. “Father, I thank YOU that YOUR WORD is TRUE”. The carnal mind would fight and ridicule this particular action, but there is great faith in TOWDAH as praise. It is the sacrifice that God honors by His performing of miracles. 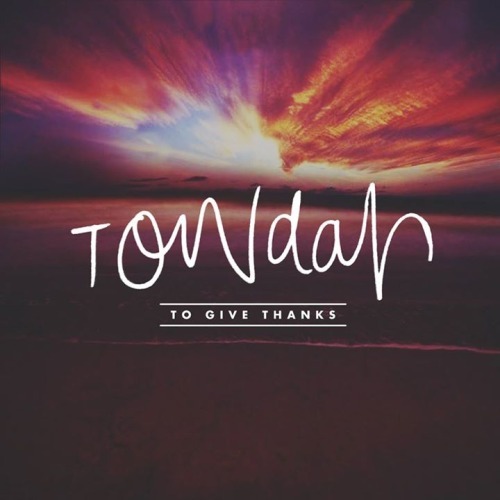 The ATTITUDE for TOWDAH is: I’m thanking God. I’m agreeing with God that it is as He says. I don’t care what it looks like. I’m agreeing with what His Word says. Example: Father, I thank You that I am healed. Psalm 42:4 When I remember these things, I pour out my soul within me. For I used to go with the multitude; I went with them to the house of God, With the voice of joy and praise (to-daw), With a multitude that kept a pilgrim feast. Psalm 50:14 Offer unto God praise (towdah) and pay thy vows unto the Most High. Psalm 50:23 Whoso offereth praise (towdah) glorifieth Me: and to him that ordereth his conversation aright will I shew the salvation of God. To address in a loud tone, a loud adoration, a shout! Proclaim with a loud voice, unashamed, the GLORY, TRIUMPH, POWER, MERCY, LOVE OF GOD. This word implies that testimony is praise. 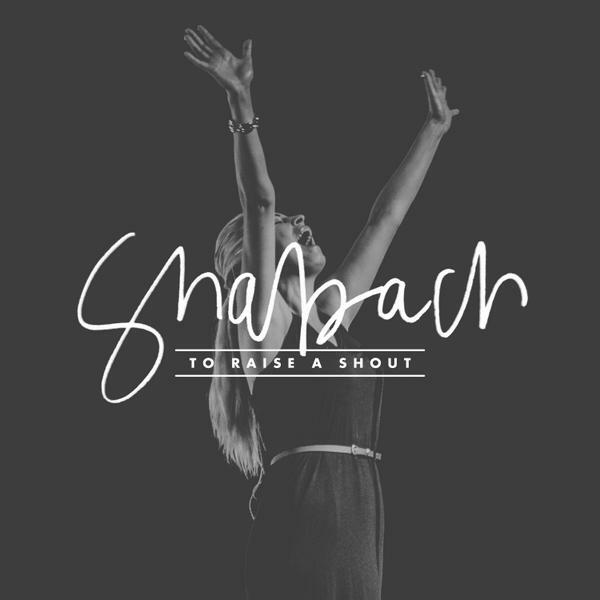 The phrase “shout unto the Lord” can be understood as the action of SHABACH. It is not just being loud. You should have the attitude of putting your whole being into it, an attitude of being totally uninhibited. Joshua 6:20 So the people shouted when the priests blew the trumpets. And it happened when the people heard the sound of the trumpet, and the people shouted with a great shout, that the wall fell down flat. Psalm 47:1 O clap your hands, all peoples; shout (shabach) to God with the voice of joy (or triumph). Psalm 145:4 One generation shall praise (shabach) Thy works to another and declare Thy mighty acts. Isaiah 12:6 Cry aloud and shout (shabach) for joy, O inhabitant of Zion, For great in your midst is the Holy One of Israel. To give reverence to God as an act of adoration. It implies to continual conscious giving place to God. Blessing the Lord, extolling virtue. 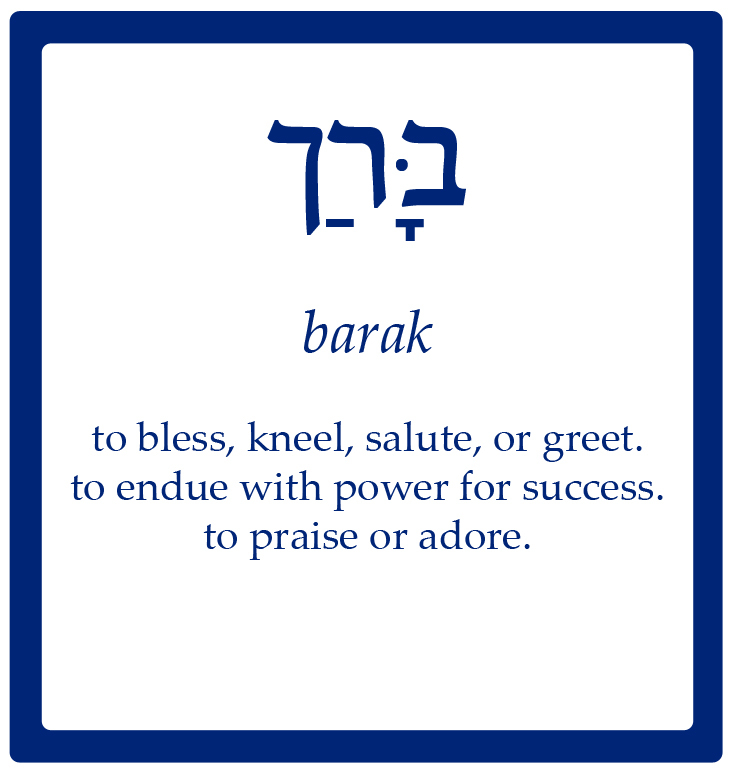 There is a sense of kneeling and blessing God as an act of adoration in the word BARAK. 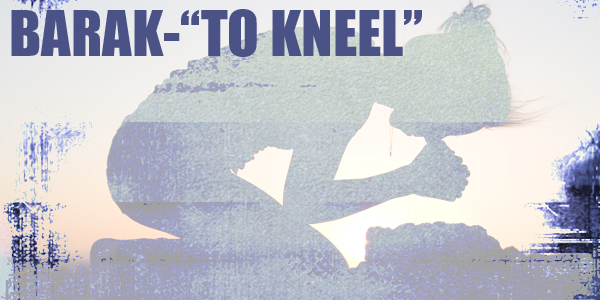 Physical application – To bow, kneel or to do this with the intent in my heart that He is my KING and I yield to HIM. I am acknowledging Him as KING and GOD. Psalm 103 tells us how to bless the Lord and then goes on to enumerate those blessings: loving kindness, satisfaction redemption, honor, renewal. We bless the Lord by remembering all of these things. Psalm 95:6 O come let us worship and bow down; let us kneel (barak) before the Lord our Maker. 1Chronicles 29:20 Then David said to all the assembly, “Now bless (barak) the Lord your God.” And all the assembly blessed (barak) the Lord, the God of their fathers, and bowed low and did homage to the Lord and to the king. Psalm 34:1 I will bless (barak) the Lord at all times; His praise shall continually be in my mouth. Means “to pluck the strings of an instrument, to sing, to praise”. A musical word which is largely involved with joyful expressions of music with musical instruments in praise to God. 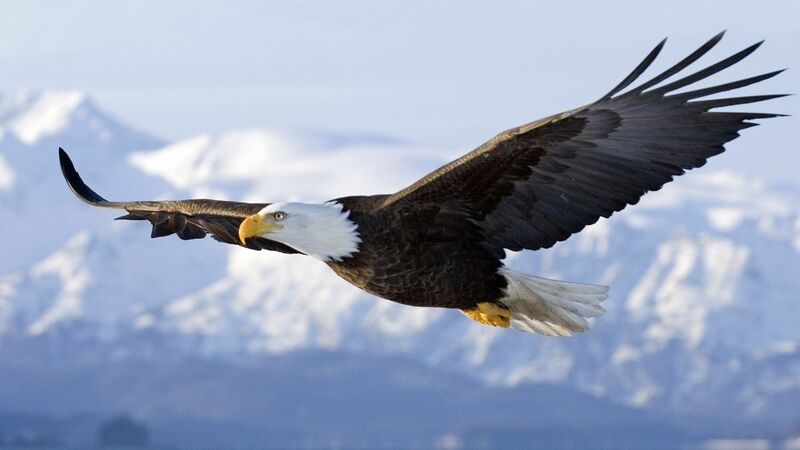 Psalm 21:13 Be exalted O Lord, in Thine own strength, so will we sing and praise (zamar) Thy power. 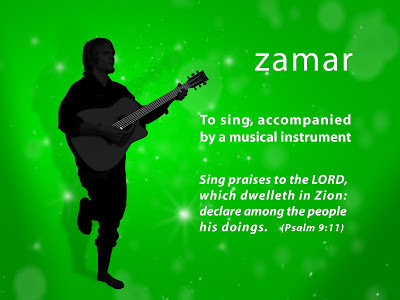 1 Chronicles 16:9 Sing to Him, sing praises (zamar) to Him; speak of all His wonders. 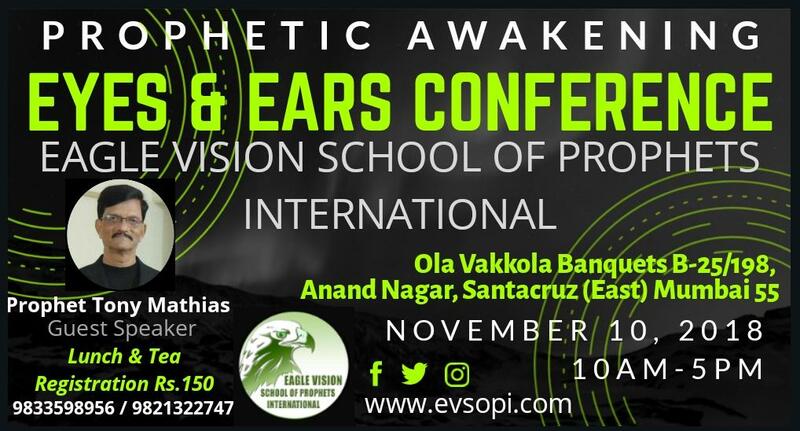 Psalm 57:8-9 Awake my glory; awake harp and lyre, I will awaken the dawn! I will give thanks (yadah)to Thee, O Lord among the peoples; I will sing praises (zamar) to Thee among the nations. A spontaneous new song. Singing from a melody in your heart by adding words to it. This refers to a special kind of singing-it is singing unprepared, unrehearsed songs. Brings tremendous unity to the body of Christ. Singing straight to God. Can move into tehilah anytime. Singing it the second time would be ZAMAR. It is the praise that God inhabits (sits enthroned on) (Psalm 22:3) God manifests Himself in the midst of exuberant singing. Psalm 22:3 Yet Thou art holy, O Thou who art enthroned upon the praises (tehillah) of Israel. Isaiah 61:3 To grant to those who mourn in Zion, Giving them a garland instead of ashes, The oil of gladness instead of mourning, The mantle of praise (tehillah) instead of the spirit of fainting, So they shall be called oaks of righteousness, The planting of the Lord, that He may be glorified. We should dance before the Lord as King David did in the Bible. Psalm 149:3 Let them praise (halal) His name with the dance; Let them sing praises (zamar) to Him with the timbrel and harp. Psalm 150:4 Praise (halal) Him with the timbrel and dance; Praise Him with stringed instruments and flutes!